The first Amorim Taster of the Year Award has been won by Tobias Brauweiler MS, head sommelier at the London restaurant Hakkasan Hanway Place. 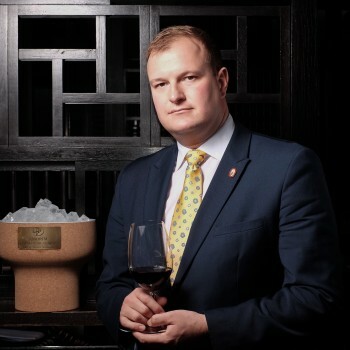 German-born Brauweiler, 33, won his title by scoring the highest marks in the Tasting section of this year’s Master Sommelier examinations held at The Dorchester. Cork producer Amorim, one of the new supporters of the Court of Master Sommeliers, put up the prize of a limited edition cork ice bucket created by artist Filipe Alarcão. Brauweiler also won a scholarship trip to the Portuguese cork forests to see Amorim’s harvest and its production process. Tobias, from the Dortmund area, has been working in the UK for five years, having arrived in 2010 to open Ellenborough Park in Cheltenham as Head Sommelier. In 2012 he moved to London and joined Hakkasan, famous for its far-Eastern haute cuisine in August 2014.